If you would like to audition but are unable to make either of these dates, please contact auditions@sierrastages.org. Callbacks will be held at a date and time TBD. If you are called back for one or more roles, we'll email you with scheduling and other information. Not every actor who auditions will be asked to the callbacks, and casting some parts may not require a callback audition. 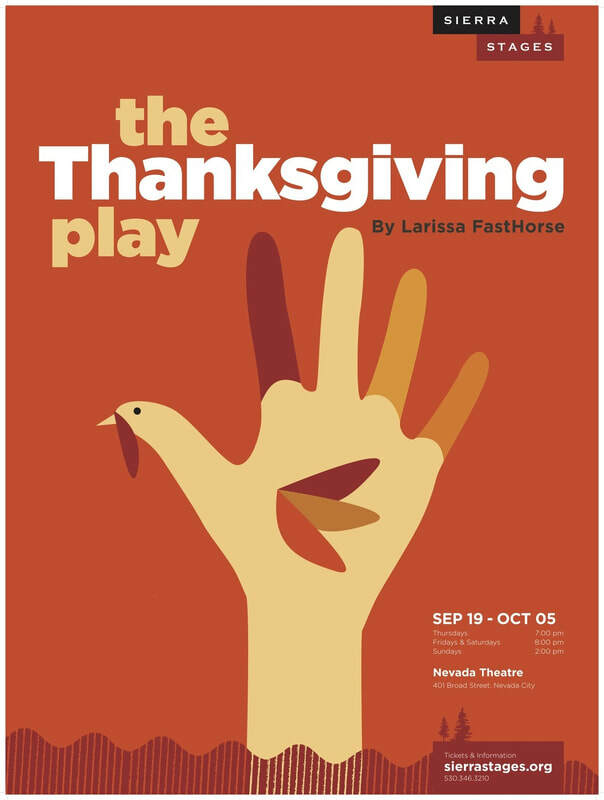 NOTE: All roles in THE THANKSGIVING PLAY are unpaid. You are welcome to prepare a one-minute monologue of your choice. You do not have to prepare a monologue. If you do not prepare a monologue, you will be asked to read one of the sides provided at the audition. If you would like a copy of the script to read before auditions, please contact auditions@sierrastages.org, or call 530-346-3210 for assistance. Rehearsals generally occur on Sundays (2 PM to 5PM or 5PM to 8PM), and Mondays through Thursdays (6PM to 9PM), starting August 5. The show will run for three weekends (Thursdays at 7 PM, Fridays and Saturdays at 8 PM and Sunday afternoons at 2 PM) from September 19 through October 5 at the Nevada Theatre. For questions or concerns, contact auditions@sierrastages.org, or call 530-346-3210. ​ All roles are unpaid.